20 (*) Anita Chaudhuri and Jon Ungoed-Thomas, with additional reporting by Justin Stoneman, “A Dieter’s Dilemma”, The Sunday Times, (4 April 2010). 21 Eaton MacKay and H C Bergman, “The amount of water stored with glycogen in the liver”, The Journal of Biological Chemistry, (December 1933). 22 Rittenberg & Schoenheimer, “Further studies on the biological uptake of Deuterium into organic substances, with special reference to fat and cholesterol formation”, Journal of Biological Chemistry, (1937). 23 E. Wertheimer and B. Shapiro, “The Physiology of Adipose Tissue”, Physiological Reviews, (1948). 24 Sir Harold Himsworth, “Diabetes mellitus: its differentiation into insulin-sensitive and insulin-insensitive types”, The Lancet, (1936). 25 Rosalyn Yalow, Solomon Berson, “Immunoassay of endogenous plasma insulin in man”, Journal of Clinical Investigation, (1960). 26 William Banting, “Letter on Corpulence addressed to the public”, (1869). 27 Yalow RS, Glick SM, Roth J, Berson SA. “Plasma insulin and growth hormone levels in obesity and diabetes”. Annals of the New York Academy of Sciences, (1965). 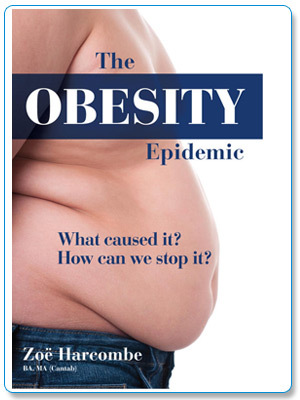 28 Edgar Gordon, “A new concept in the treatment of obesity”, The Journal of the American Medical Association, (1963).